Thousands of New Yorkers must cope with the pressures of being deeply in debt. It is not uncommon for personal debt to spin out of control due to unexpected challenges such as job loss, illness, death of a spouse, or divorce. Those with overwhelming debt often also face late payment notices, overdrawn bank accounts, disconnection notices, and constant calls from debt collectors. Fortunately, there are options to help those in deep debt to manage the debt or eliminate a significant amount of the debt. Filing for bankruptcy allows individuals to have a fresh start. Filing for bankruptcy can allow you to completely eliminate most of your debt or it can allow you to restructure your debt to make payments to your creditors manageable. 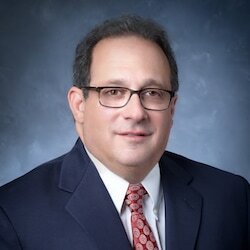 Established in 1997 by New York bankruptcy lawyer Stephen Bilkis, the Law Offices of Stephen Bilkis & Associates, PLLC has earned a reputation among clients and peers for being professional and knowledgeable, and for providing superior legal representation. Whether we help you file for chapter 7 bankruptcy, file for chapter 13 bankruptcy, negotiate with a creditor, create an asset protection plan, stop unscrupulous debt collection efforts, or help you with other types of issues related to debt, our staff will be committed to working closely with you to find a solution tailored to your individual debt issues. Bankruptcy is the process that is overseen by a bankruptcy trustee and that allows individuals to eliminate some or all debt or reduce debt payments. There are 2 main types of personal bankruptcy: chapter 7 liquidation and chapter 13 reorganization. Both types of bankruptcy have rules regarding which debts are covered, requirements for filings, and what property is exempt from creditors. While bankruptcy may be the best course to address your debt challenges, there are a number of other options to help manage debt problems. Chapter 11 bankruptcy. Chapter 11 bankruptcy is an option for businesses that is not available for individuals. However, if you have a small business that is experiencing financial difficulties you may be able to take advantage of relief provided by chapter 11 bankruptcy. Debt Settlement. Debt settlement is the process of negotiating directly with your individual creditors to reduce the amount of unsecured debt you owe. The goal is for you to work with your creditors to set up a reasonable payment agreement based on your circumstances. The incentive to the creditor is to work with you to recoup at least a portion of the money owed and not risk losing it all should you decide to file chapter 7 bankruptcy. Our office has extensive experience in working with individuals and small businesses facing bankruptcy and other financial challenges. We also represent trustees in trustee actions involving voidable transfers, preference actions and other issues that arise during the course of a bankruptcy proceeding. We are client-focused. We are committed to providing the best possible representation to help our clients overcome troubling legal issues. Contact us at 800.696.9529 to schedule a free, no obligation consultation regarding your case. A New York bankruptcy attorney at the Law Offices of Bilkis & Associates, PLLC will listen carefully to your wishes and goals and will respond with a realistic assessment and honest answers to your questions.